Premier Rhythmic Gymnastics Academy has completed over 13 years in the field of competitive sports. A women oriented Olympic recognized sport – Rhythmic Gymnastics – is the perfect sport for young girls to develop great strength and flexibility. Founded by International Judge and Chief Coach, Mrs Varsha Manish Upadhye, the aim of this academy is to popularize the game in the society and emphasize more on the fitness among the young girls as well as to promote the gymnasts on school, district, state and national level competitions. As per the parents expections, support and the requirement training has been given to the gymnasts of various age groups which starts from 4 years to 25 years. Currently Premier Rhythmic Gymnastics Academy consists of over 200 students across various age groups out of which 50 students have represented the state of Maharashtra at various National Level competitions and about 30 students have represented India at various international competitions including Commonwealth Games, World Championships, Invitational events etc. Few of the students have also made the Guinness World Record in certain Rhythmic Gymnastics elements in the show that aired on TV in India and also participated in other shows like India’s Got Talent and Television ads. The 2010 batch of PRGA’s International level players – Kshipra Joshi, Sadichchha Kulkarni, Akshata Shete and Pooja Surve – have all taken Rhythmic Gymnastics as a professional career. From being International gymnasts to now coaches running their own classes/practice sessions and promoting the sport ahead. 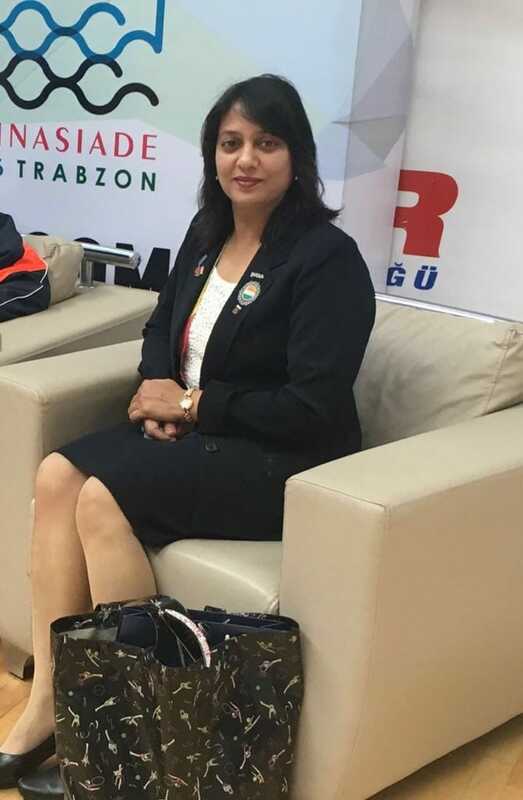 In that way, Senior students of PRGA have now become certified International Judges and Coaches, assisting Varsha Tai in creating future talent for Team India! Training batches are being conducted across Mumbai at these following venues. The address and class timings have been mentioned below along with the contact details of the person in-charge of the centre. For more details kindly drop a direct message on the number/website and the team will get back to you. 1. Kabbadi Association, Shivaji Park, Dadar (W), Mumbai. Everyday – 5 to 7 pm (advance training) – Under 16 and Above 16 age groups. 2. Andheri Sports Complex, Shahaji Raje Bhosale Krida Sankul, Andheri (W), Mumbai. 3. Bharat Ratna Rajiv Gandhi Sports Complex, Dharavi, Sion (W), Mumbai.